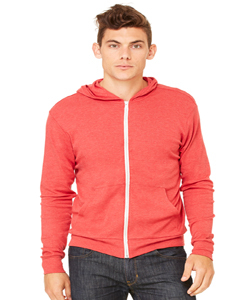 - Bella+Canvas Unisex 5.6 Ounce Triblend Full-Zip Lightweight Hoodie. - 1x1 smooth rib fabric is uniquely engineered with a flat surface ideal for screen printing. - Front zip and kangaroo pockets. 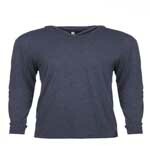 - 50% poly 25% Airlume Combed and Ringspun Cotton 25% rayon, 30 single 5.6 oz. 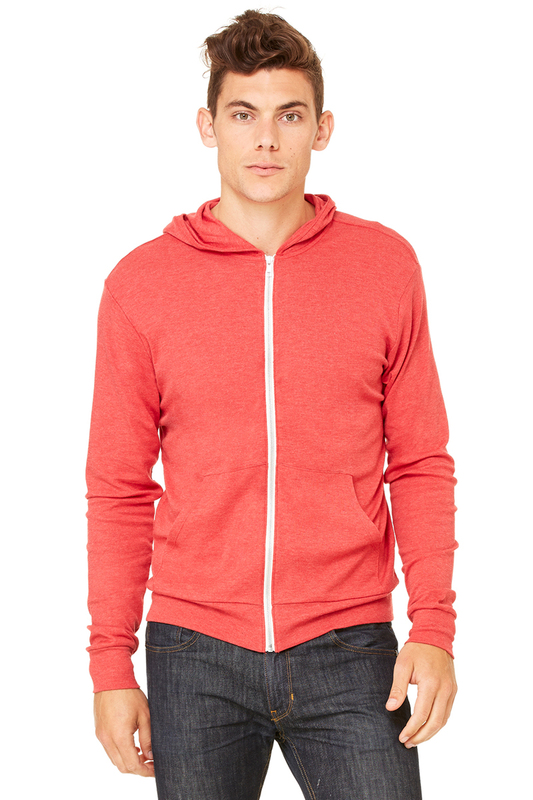 Bella+Canvas Unisex 5.6 Ounce Triblend Full-Zip Lightweight Hoodie. Sideseamed. Retail fit. Unisex sizing. No drawstrings. 1x1 smooth rib fabric is uniquely engineered with a flat surface ideal for screen printing. Front zip and kangaroo pockets. Tear Away Label. 50% poly 25% Airlume Combed and Ringspun Cotton 25% rayon, 30 single 5.6 oz. Sizes XS-2XL: Blue Triblend, Charcoal Black Triblend, Emerald Triblend, Grey Triblend, Maroon Triblend, Navy Triblend, Red Triblend*, Solid Black Triblend, Teal Triblend, True Royal Triblend*. *Colors Ship From Los Angeles, CA.